NYC Immigration Lawyers, Naturalization, Green Cards, Deportation Defense, Brooklyn, New York - How Do I Bring My Child, Son or Daughter to Live in the United States? » How Do I Bring My Child, Son or Daughter to Live in the United States? This information is for United Stated (U.S.) citizens and lawful permanent residents who wish to bring their child(ren) to live permanently in the U.S. Please note: If you are in the U.S. and considering adopting an orphan from another country, you should refer to How Do I Apply to Bring a Foreign-Born Orphan to the U.S.? Note: Information concerning the new K visa (advance admission for the spouse and children of a U.S. citizen) and new V visa (advance admission for the spouse and the minor children of a lawful permanent resident) nonimmigrant categories is available from the Legal Immigration Family Equity (LIFE) Act page. · A child born out of wedlock (the parents were not married at the time the child was born). Note: If the father is filing the petition, proof of a bona fide (real and established) relationship with the father must be supplied. 1. You must obtain USCIS approval of an immigrant visa petition that you file for your child, son or daughter. 2. The State Department must then give your son or daughter an immigrant visa number, even if he or she is already in the United States. If you are a U.S. citizen and the child is both under 21 years of age and unmarried, a visa number is not required. 3. If your child or son or daughter is outside the United States, he or she will be notified to go to the local U.S. consulate to complete the processing for an immigrant visa when one becomes available. If your child or son or daughter is legally in the U.S. when an immigrant visa number becomes available (or if one is not required), he or she may apply to adjust status to that of a lawful permanent resident using the Form I-485. 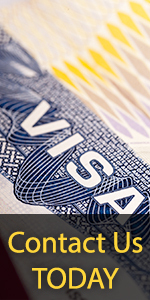 For more information on immigrant visa numbers, please see How Do I Get an Immigrant Visa Number? The Immigration and Nationality Act is the law that governs the admission of all immigrants to the United States. For the part of the law concerning immigrant status for children, sons, and daughters, please see INA § 202, INA § 203 and INA § 204. The specific eligibility requirements and procedures for qualifying for immigrant visas and permanent residence are included in the Code of Federal Regulations (CFR) at 8 CFR § 204.1, 8 CFR § 204.2, 8 CFR § 204.3, and 8 CFR § 245. A U.S. citizen’s unmarried, minor child is considered an immediate relative, does not need a visa number, and is eligible to receive an immigrant visa immediately. Otherwise, sons and daughters of U.S. citizens will be eligible for a visa when their priority date is listed on the Department of State’s Visa Bulletin .